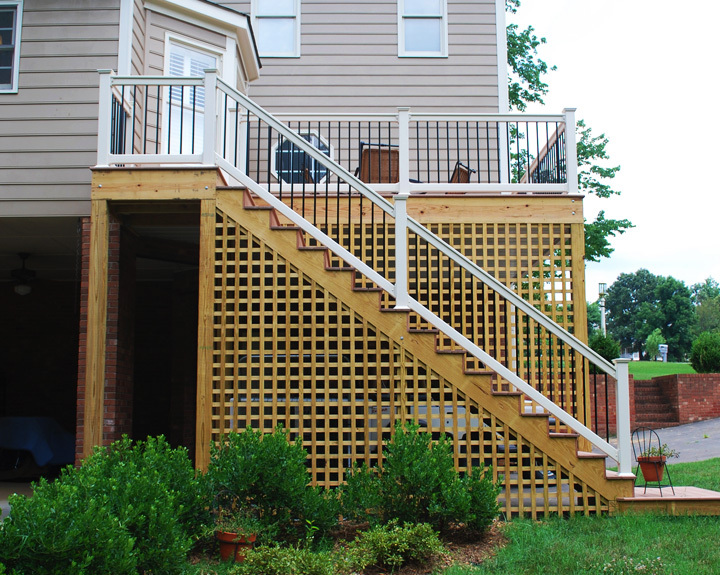 Second floor deck provides stay-dry parking and patio underneath featuring custom lattice. 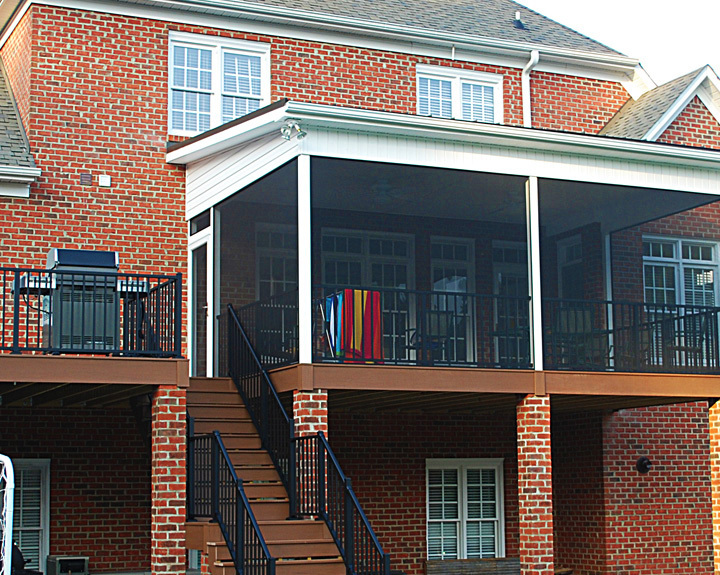 New deck construction above parking/patio features composite decking, custom vinyl railing, aluminum balusters. 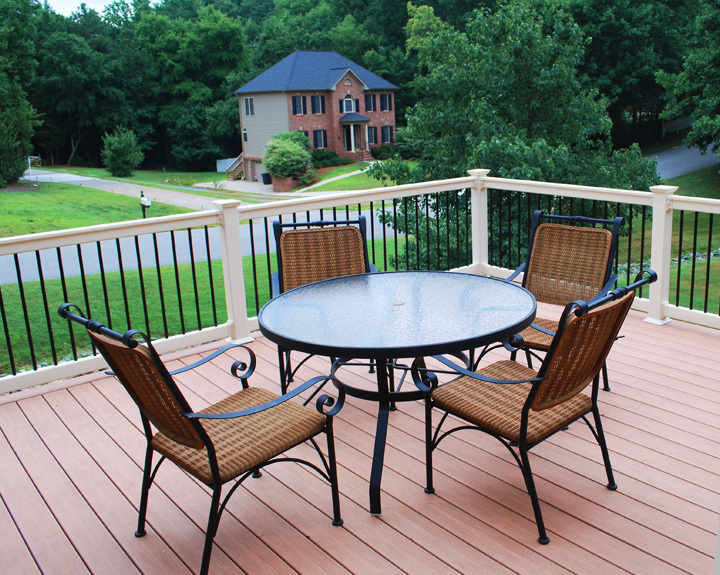 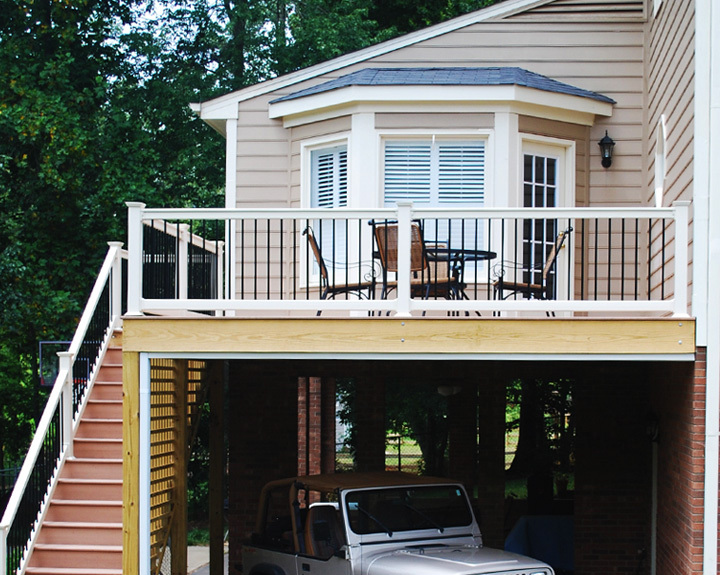 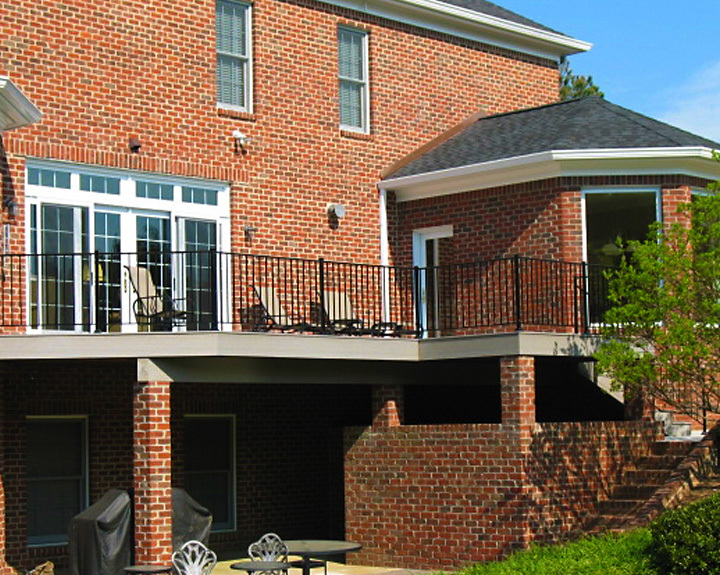 New screened porch featuring maintenance-free composite decking, aluminum rails, and ScreenEze™ system. 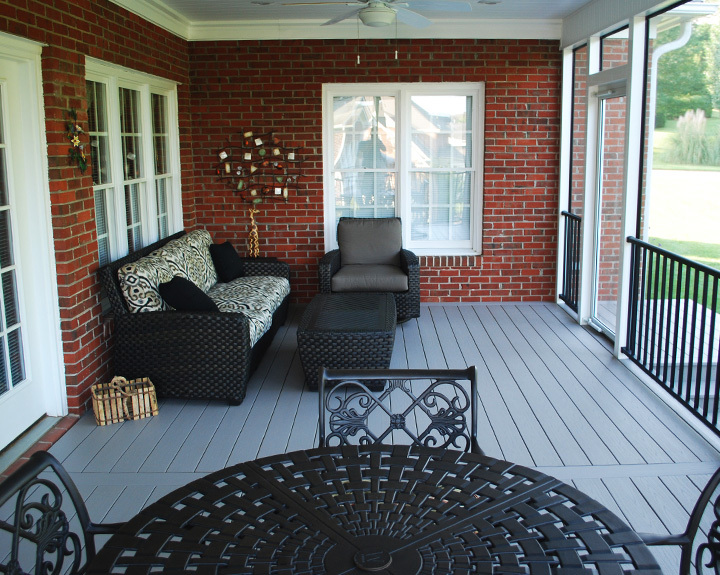 Screened porch and deck blends seamlessly with brick construction to take advantage of backyard view.